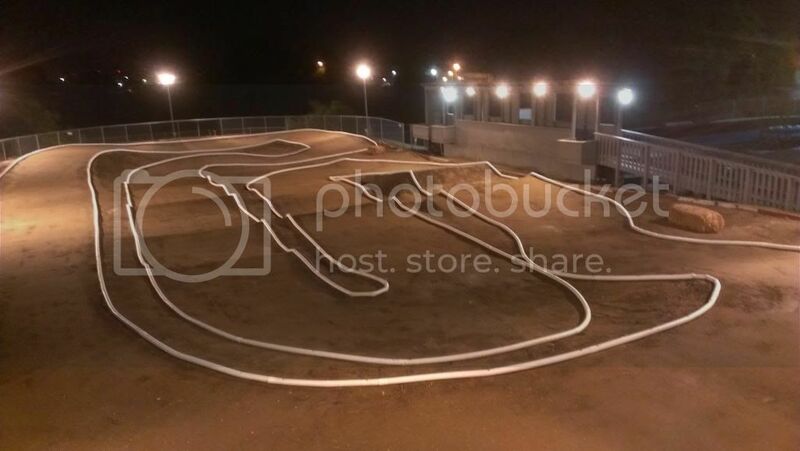 Track looks sweet! Hope you all have fun. Great job Delta! 1/10 layout is in, racing tomorrow 4/11 gates open at 4pm racing starts at 6pm. Got it, found it, read it. Not sure why that information is on a separate thread, but I will manage. It's that the situation is still the same as what he has said earlier in the cali cup thread. 'Other thread'? What's wrong with asking a question about DRC off-road on DRC off-road thread? Just curious. wil track be open friday for practice? Will delta have x2 compound tires in stock! Didn't have time to order them in time to get them before say? Should be fun. 2w buggy under the lights. This Saturday season outdoor opener is a afternoon/night race. Looks like great weather this weekend! indoor has been taken down ...NO INDORR RACING THIS weekend, lease was up on the 1st. Big J...just sent u an email to the email listed in ur profile. Lemme know if u get it.thanks! BTW looks like it will still be indoor this weekend? Doubt they made it to far with all the rain this week. Thx for the offer Chris but I already got the rtr. My neighbor has been wanting to get in to it, and didn't want to spend a ton up front, so we both went with RTR. I'm not to worried about upgrades and stuff since I think this will be handed down to my son fairly quickly. Just needed something to get going and get all the extra gear outside of the car itself. (new batt's, charger, tools, etc etc.. you know how it is, gotta have the bling) then I'll move foward with other cars.